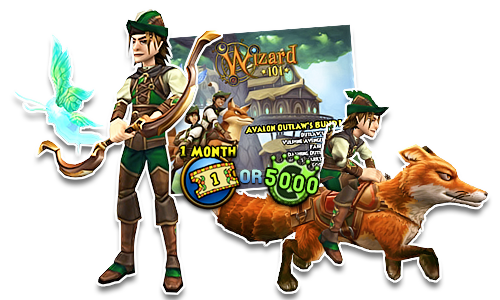 Introducing the newest Wizard101 game card available in stores now: the Avalon Outlaw's Bundle! You'll find this all new game card at GameStop stores across the United States, for $39. The Outlaw's Refuge is an immense, peaceful and picturesque haven, with cabins perched on giant trees. The space available makes it perfect for hosting housing games and parties with your friends. 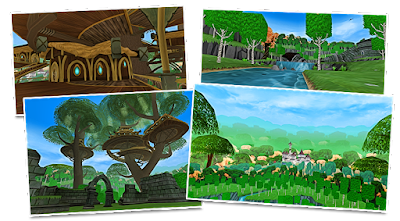 There's also a secret room full of treasures and a PvP arena! 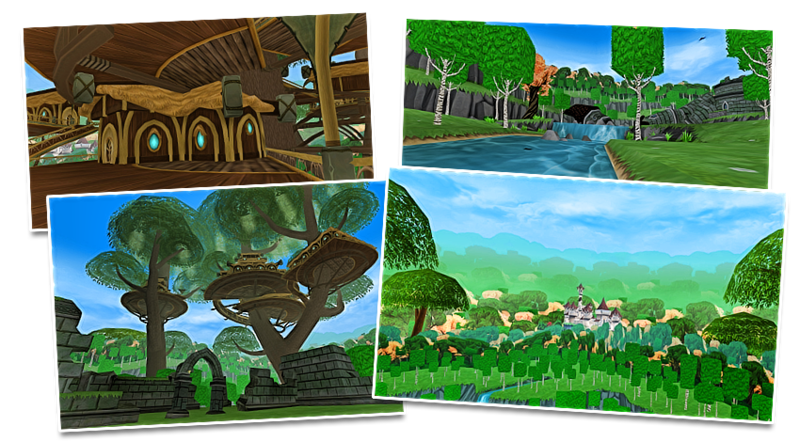 If you love Avalon, this bundle is definitely for you! 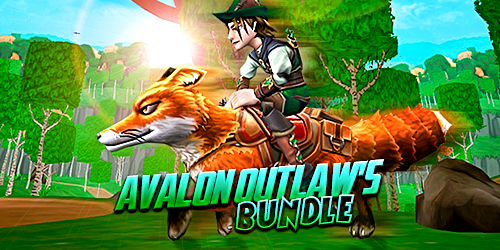 The Vulpine Avenger is a fablelike mount that goes hand-in-hand with the Avalon theme. It will give your Wizard a 40% speed boost and +2% armor piercing. The Fairyfly is a dazzling and adorably cute wisp of green light that comes with a with Healing Card at Baby, a starting pedigree of 70 and excellent stats for a first generation pet. The Dashing Outlaw's Gear goes up to Level 120 and gives remarkable overall stats to your Wizard. The Ranger Marksman Bow grants 4% universal pierce, 65 critical rating, 14% universal damage, 1 power pip, 210 pip conversion rating and Maycast Outlaw's Courtesy at Level 120+.